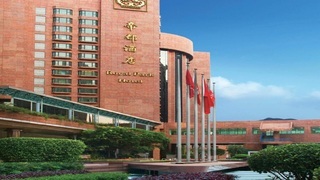 The first international hotel in the New Territories, it is situated next to the Chinese University of Hong Kong and very close to the University MTR Station, providing easy access to other parts of the city. Hong Kong Science Park and the Ten Thousand Buddhas Monastery are within easy reach. Chek Lap Kok Airport is 30 minutes away by taxi. The hotel features 24-hour reception, concierge service, currency exchange, WIFI, meeting rooms, business centre, restaurant, bars, fitness centre, spa and wellness, outdoor pool, children's pool, playground and laundry service.